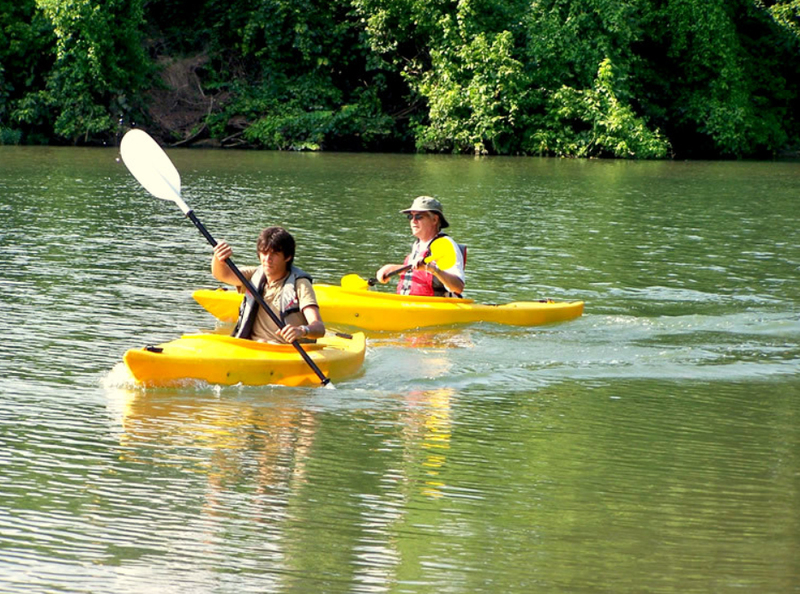 The Branson area boasts many ways for enjoying the beautiful Ozarks, kayaking is one of the best for getting up-close-and-personal with our wonderful bodies of water! You’ll find kayak and paddleboard operations that provide service to Table Rock, Taneycomo, and Bull Shoals lakes. 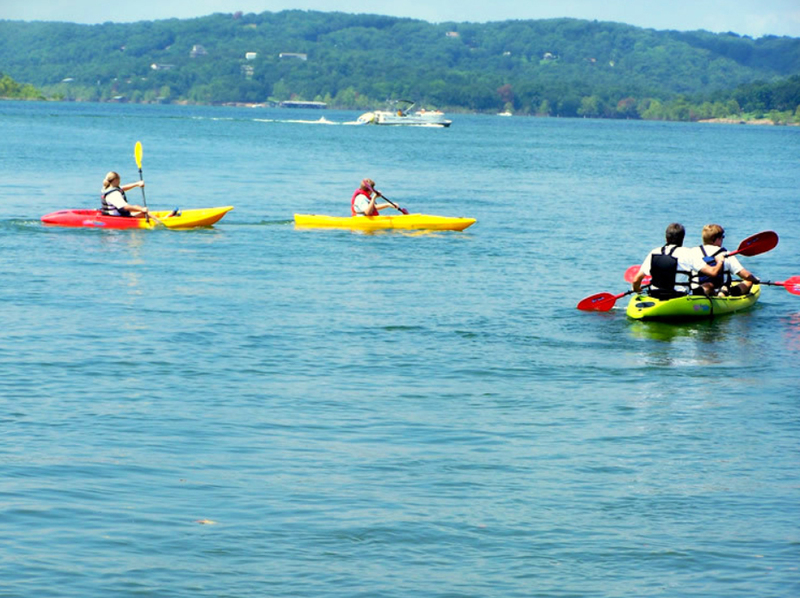 You’ll discover that river-like Lake Taneycomo provides an excellent kayaking experience for enjoying the scenery and fishing – especially rainbow and brown trout fishing, but it might be a bit cold for a paddle board; stick to Table Rock Lake or Bull Shoals Lake to avoid a chilly spill! If kayaking sounds like a lot of fun, but you’ve never tried it before, there is a difference between a canoe and a kayak. 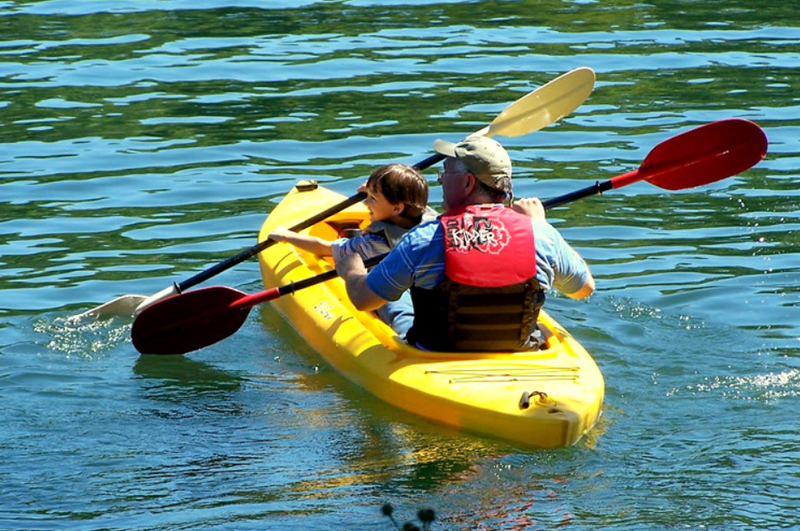 A kayak paddle has blades at both ends and your body is positioned differently in a kayak than in a canoe, which has bench seats and paddles with one blade. 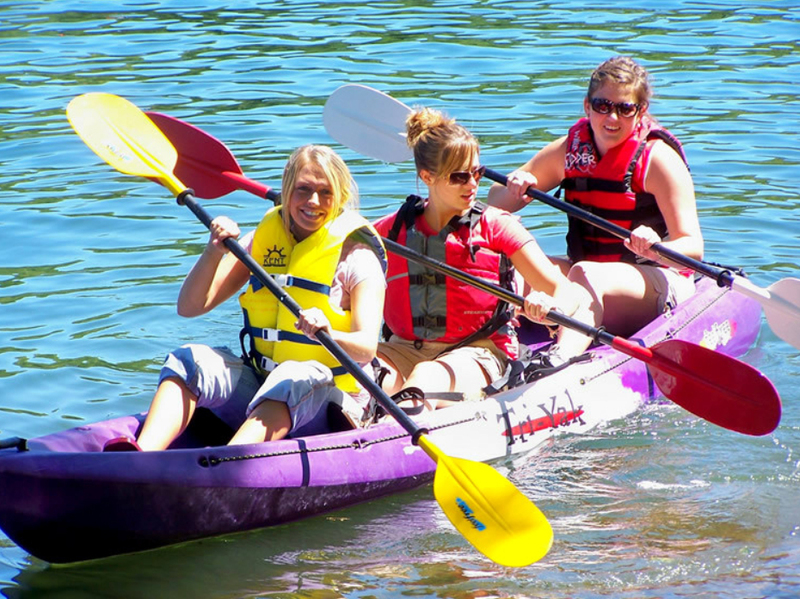 You can also find canoe rentals for all three lakes. 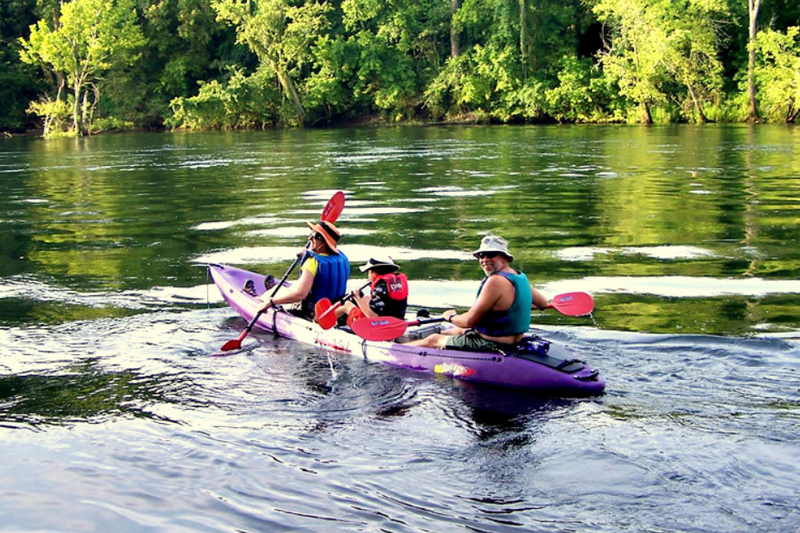 There are also many opportunities in the greater Ozarks’ area for canoe float trips, including adventures down the wonderful Buffalo River in Arkansas. 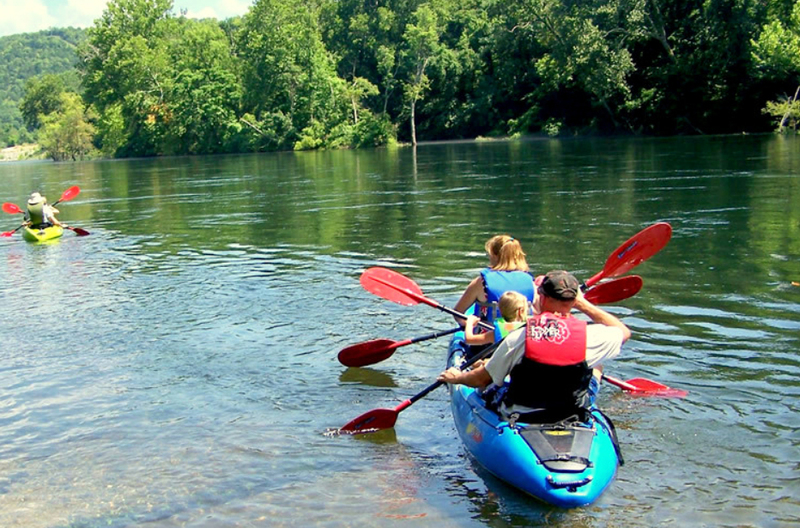 But you need not venture out of Branson to enjoy the water in a kayak or canoe, or even standing on a paddle board; Branson is ready to help you experience the great Ozarks outdoors on your choice of three clean and stunningly beautiful lakes!